My focus is on finding homes for people and finding homes for dogs. For many years now I've been selling homes and putting together people with the dogs they were meant to have. 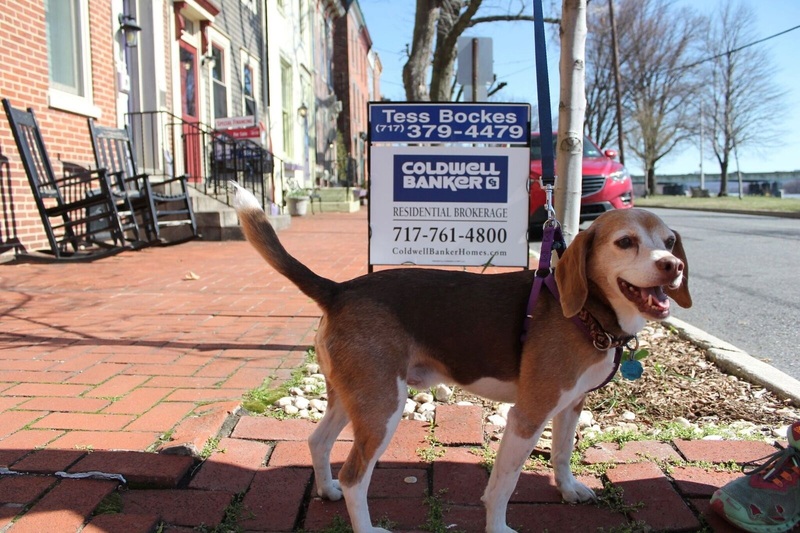 Today one of our adoptable dogs went to visit our listing at 573 S. Front Street in Harrisburg. It is a beautiful home that really needs a new owner. Cooper is a beautiful dog who also needs a new owner. Cooper was found by a friend of mine who saw that he was living outside last winter. They took him in until their neighbors decided they had too many dogs and reported them to the township where they live (not Harrisburg btw). Cooper then came to Animal House Rescue to await his new home. A nice lady who happened to be a disabled veteran of the Army found him on petfinder.com and inquired. She wasn't sure so she waited a bit and then decided that they could be a good match. Cooper went home with the lady veteran to a small home and it turned out they weren't the right fit. Beagles aren't for everyone, but they are awesome dogs! Cooper needs somebody who will be there for him - a lot, possibly a retired person or someone who stays at home. He is a cuddler and he is pretty mellow. Cooper really enjoyed his day out in Shipoke! Maybe there is someone who would like to buy this house & take Cooper in as well! When you own your own home, you can do pretty much anything you want with it!